Goshala is near Ghati Subramanya situated near Doddaballapur. In this vast 110 acres of land, special integration activities that bring together the land, forest and the cows are being held. More than 500 cattle, including bullocks, bulls, cows and calf have been give protection. Compost, manures and Agnihotri are being prepared using cow dung. Priority is being given to the use of solar power and biogas installations in GoShala. Solar electricity has been connected to all borewells. The lighting system in Goshala fully runs on solar power. Vermicompost is being prepared with earth worms. This vermicompost is being distributed to the farmers around. A program has been started in Goshala to prepare Gomutra Araka, Dhoopa, Jeevamruta, Ghana Jeevamruta, pesticide, Bharani, dantamanjana, Gochurna, Gomaya bhasma and sell the same to the farmers at low rates. Priority to breed development: Rashtrotthana Goshala has decided to offer support programs for Goshalas working on the preservation of indigenous cows. As the initial step in this, indigenous bullocks are being distributed to various Goshalas for the development of breed. People have been visiting for the study and training on cow development from various parts of the state. There is an emotional attachment between the land, forest and indigenous cows. 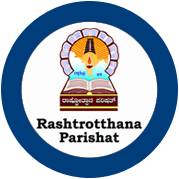 Based on this fact, Rashtrotthan Parishat has undertaken a plan to grow forests in the 20 acre land in Goshala. This plan is named “Brindavan”.